In this Insert about the .308 SRC, the most important information is that you should follow all the same maintenance procedures shown in the complete Windham Weaponry Operating and Safety Manual. The .308 SRC functions and maintenance procedures are all the same as our .223/5.56mm caliber rifles, and should be followed as shown in the accompanying Windham Weaponry Operating and Safety Manual. This insert will show the minor differences that set this .308 SRC apart from our other rifles. The Windham Weaponry Team thanks you for your purchase of this fine rifle, and we hope you will enjoy it safely for many years. If you need parts, service or advice concerning your rifle, we are never more than a phone call away, and will be pleased to help. Call Toll-Free: 1-855-808 1888. What’s Different about the .308 SRC? Caliber: This rifle is designed – and chambered for – the .308 Winchester round, but it is important to note that it will also chamber and safely fire the common 7.62 x 51mm round. The Magpul PMag Magazine supplied with this rifle works equally well with either cartridge. Receivers: On the .308, the receivers are CNC machined from 7075 T6 Aircraft Aluminum Forgings large enough to contain the caliber specific – and unique – bolt carrier and bolt. The lower receiver has machined sockets each side behind the pistol grip that are intended for Quick Detach sling swivels similar to that supplied on the barrel’s gas block. This feature offers multiple sling attachment points. Bolt & Bolt Carrier: These are unique, and caliber specific to the .308. Internal parts however, such as Gas Key, Gas Key Screws, and Firing Pin Retaining Pin, are standard “AR” parts. Buffer & Action Spring: These parts are specific to the .308. The Buffer is shorter, and the Action Spring has a few less coils than an AR, but removal and maintenance are the same. The Telescoping Buttstock is the same as an AR, and the Buffer and Action Spring function in exactly the same way. Trigger Guard: On the .308 SRC, the Trigger Guard is an integral machined aluminum part of the Lower Receiver, and does not swivel down from the Lower Receiver. Pivot & Takedown Pins: The Pivot Pin is longer than an AR type, but held within the Lower with standard AR Detent and Spring. The Takedown Pin is an AR part, and is retained within the Lower by a standard AR Detent and Spring, but is held in place by the Pistol Grip just like the Safety parts rather than from the rear of the Lower like on an AR. Hammer & Trigger: The Hammer, Trigger, their Springs and Pins, are all AR type parts, and function just as in an AR-15 rifle. Ejection Port Cover & Ejection Port Cover Rod: The Ejection Port Cover is larger than on an AR in accordance with the larger .308 cartridges, and the Ejection Port Cover Rod is not retained with a C-clip as on an AR, but rather fits in a blind hole so it won’t slide out to the rear. Forward movement of the rod is stopped by the Barrel Nut. Hogue Beavertail Pistol Grip: This is a quality aftermarket part that while not specific to only the .308 SRC, is nevertheless very well suited for it. It fits larger hands a bit better, and its “beavertail backstrap” snugly fits the Lower Receiver and provides better padding for the webbing between the thumb and index finger with the slightly heavier recoil of the .308 cartridge. Bolt Catch Screw: The attachment of the Bolt Catch on the .308 Lower Receiver is different than on AR lowers. A special Allen head pin/screw (with 1/16″ socket) is used to hold the Bolt Catch in place. The function and operation of the Bolt Catch are identical to the AR type rifle. Charging Handle: Longer, and specific to the .308, the Charging Handle is machined from 7075 T6 aluminum like its AR counterpart and the Latch, Latch Spring and Spring Pin are also standard AR parts. Handguards & Gas Tube: The Handguards are mid-length, and removal or installation is identical to shorter AR type parts. The Gas Tube is also a mid-length unit (shown superimposed over the handguards in this photo). Its gas impingement system function, any cleaning / maintenance procedures, are identical to the AR. .308 Gas Block: While identical in function to the units found on .223 rifles , this gas block has been machined to receive the Quick Detach Push Button Sling Swivel shown here to offer rapid adjustment of sling positions, and ease in stripping down the rifle for cleaning or maintenance operations. The Picatinny Rail on the Gas Block is on the same plane as the Upper Receiver for optimum sight function. Barrel: The .308 SRC’s barrel is 16.5″ long, Medium Profile, Chrome Lined in Bore & Chamber. It is machined from Chrome Moly Vanadium 11595E Steel, and fitted with an A2 Type Flash Suppressor specific to the .308 caliber (threaded 5/8ths x 24 tpi). Rifling is 1 turn in 10″ – Right Hand Twist – 6 Lands & Grooves. Break-in procedure for this Chrome Lined Barrel is similar to the AR type rifles. We recommend breaking the rifle in with any good quality brass cased ammunition – approximately 100 rounds. Then clean the barrel thoroughly, and its ready for the range or the hunt. A Caution About Parts Interchangeability: The Windham Weaponry .308 SRC has been developed as a unique product offering, and its parts and components are not intended, or designed, to fit any other manufacturer’s .308 rifles regardless of any apparent similarity. Owners should never attempt to use other manufacturer’s parts on or in the Windham Weaponry .308 SRC. 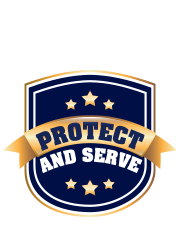 To do so could cause damage to your rifle, possibly inflict injury on the shooter or those in the vicinity of the shooter, and could void your warranty. If you have any questions about your Windham Weaponry .308 SRC, or any of its parts or components, or questions about adding any aftermarket accessories to the rifle, please call the Windham Weaponry Customer Service / Technical Line – Toll Free (1-855-808-1888) between 8:30 AM and 5:00 PM (Eastern Standard Time) Monday through Friday. 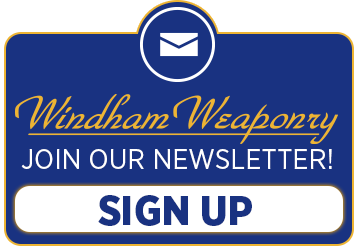 Or, questions can be E-mailed to: info@windhamweaponry.com and we will respond promptly.